Our wedding weekend was truly the happiest and most fun weekend of our lives. We wanted our guests to feel like they left really knowing us as a couple. Since we met at The University of Texas at Austin and Zach's whole side/our college friends were traveling in from Texas, we wanted to show them a warm Canadian welcome and also incorporate southern/Texas elements to bring to my Canadian guests. We wanted our ceremony to be thoughtful and exude the love that we have and we wanted our party to be energetic and a ton of fun - with non-stop dancing... it was that and more. We originally were supposed to enter the reception and all enjoy our dinner before getting into the dancing..but as soon as the doors opened and Party Crashers Band started, our guests went straight to the dance floor and never wanted to leave - which was amazing and so us. When I lived in Austin, I worked at Caplan Miller Events - so when it came to our big day, it was only fitting to have the dream team plan it all out for us. They went above and beyond to make sure we had the best time ever and it made it so special to have the ladies there as guests and planners. 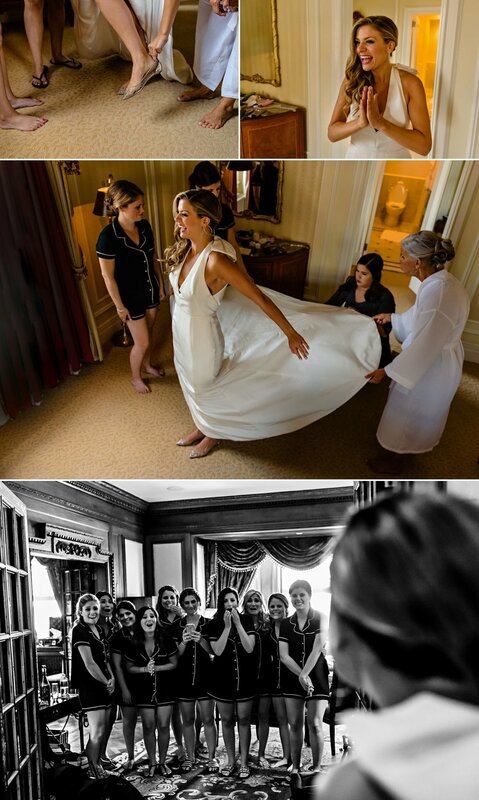 Now as we look back and re-live the wedding through our photos, it is so amazing to see the emotion and the joy come through in all the photos. Thanks to Union Eleven, we will remember the way we felt at every moment of the weekend!